Charlie Junior Peck, 74 years of age of the Lynn Camp section of Grundy, VA, passed away Tuesday, November 13, 2018 at Buchanan General Hospital after an extended illness. Born May 30, 1944 in Drill, VA, he was the son of the late Charlie Robert Peck and Leonia Shepard Peck. 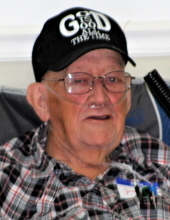 Charlie loved to go to church, and was a member of the Poplar Creek Church of Christ. He was an avid collector, enjoyed the outdoors, ginsenging and never met a stranger. A loving husband, father, grandfather, brother and uncle. In addition to his parents, he was preceded in death by his sisters Bettie Rachel May, Margaret Elizabeth Dye, Deborah Ann Smith, brother Billie Pleasant Peck and his grandson John Anthony Mullins. Survivors include his loving wife of fifty-five years Phyllis Ann Wells Peck of Grundy, VA; daughters Rebecca Carol Mullins and husband John of N. Tazewell, VA, Melissa Ann Stiltner and husband Tony of Oakwood, VA; sons David Eugene Peck and wife Selena of Grundy, VA, Brian Dwayne Peck and wife Michelle of Big Rock, VA; sisters Jean Ellen Penley and Bertha Sue Dye and husband Bill all of Drill, VA, Kathy Leigh Fuller of Honaker, VA; brother Gregory Eugene Peck of Lebanon, VA. He is also survived by his grandchildren: Bradley Mullins, Amy Asbury, Kayla Scrotsky, David Stiltner, Latasha McCowan, Bobby Peck, Kedrick Peck, Wesley Peck, Kirsten Peck, Cory Nickels, Justin Nickels, Tanner Mullins; step-grandchildren: Kayla Johnson, Sarah Boyd, Anthony Stiltner; thirteen great grandchildren, several nieces, nephews and a host of friends. Funeral service for Charlie Junior Peck will be held at the Poplar Creek Church of Christ in Grundy, VA, Saturday, November 17, 2018 at 1:00 p.m. with Evangelist Ed Belcher, Evangelist Billy Cook and Evangelist Michael Rife officiating. Burial will follow in the Mountain Valley Memorial Park of Big Rock, VA. Active pallbearers will be his grandchildren. Honorary pallbearers will be Dr. J. G. Patel, Dr. El Abassi, Nurse Practitioner Freda Powers, the staff of Buchanan General Hospital, and the men of Poplar Creek Church of Christ. The family will receive friends at the Poplar Creek Church of Christ, Thursday, November 15 after 6 p.m. where an evening service will be held Thursday and Friday at 7:00 p.m.
the family of Charlie Junior Peck have entrusted the care of their loved one to Shortridge-Ramey Funeral Home of Grundy, VA.
"Email Address" would like to share the life celebration of Charlie Junior Peck. Click on the "link" to go to share a favorite memory or leave a condolence message for the family.